Buses, cars, trains, anything that is transportation that keeps me interest on riding one.<br /><br />Electronics. Guess where the Orion VI sold to, which also another subject when it comes to plane news..... https://www.thestar.com/news/canada/2019/01/20/250-passengers-stranded-aboard-airplane-in-frigid-labrador-for-16-hours.html And pics from Twitter! Wifi trail, which is already over! Rogers was the contract of the installation, because they are not allow to install somewhere in the middle of the bus, so they have to place it at the back instead! Correct, 8101, 8104 and 8120 are the latest refurbished. We're not getting anything else other what we got for the market! You have to deal with so many regulations and rules before you can bring it here! Parts is another biggest issue as you have to get it from another country! Pretty much, local support manufacturing. Most of the west coast bus fans hate the LFS. Given to the fact the LFS will withstand the collision compare to the Sexcelsior artic if anyone remember the CR-V major collision! Don't forget, this is known for California buses, it was never made for this climate! Others are suffering as well but MiWay has the money to get rid of it quick! Tell that to the TTC Vehicle Engineering Dept. there's a reason why they went with no rear window! Expect some grouchy senior driver will hate the LFS after spoiled with Flyers (and your favorite bus manufacturer) for years! 2235, 2240, 41, 51, 55, 57, 60, etc. Less than 10-15 in the fleet total. While the SuperLo are delivering slowly, expect the goal target for next retirement batch will be the 2005 model (2267 to 86). 2268 and 76 have retired and sold! They haven't start 2500 series yet, most likely next year. The 81xx series isn't there yet, another couple years. 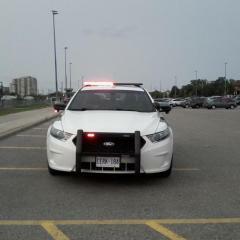 Allison LBSS program to save fuel economy 8324 is the highest and most of them are now assigned in Hamilton area! 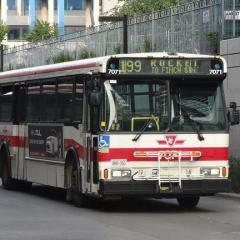 The 19 to Oakville were duplicating the 46 and ridership were getting lower and lower after many years. And the demand service on 19 from Square One is needed for AM rush. 29 to Cooksville GO is simple: Low ridership! Hi, I saw your pictures from Attridge Transportation when they got their brand new visions in 2007. Do you have any other school bus pictures?? 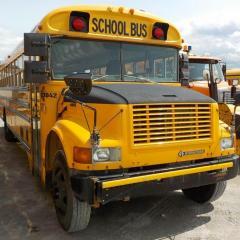 I have loved school buses all my life and have a lot of pictures to share if your interested! It's fiiiiiiiiiiiiiiine! Who uses the rear door when the Provinces itself is too nice! Those are electric doors they've ordered this time, and those do go slightly up to stay locked after closed. 45ft to be exact! Luminator Spectrum! Luminator + Axion + TwinVison = under one umbrella company! 3.9m as it's described. Everett Transit security come up to me asking why I am taking pictures of people, I said I'm only taking pictures of buses. Then the security walked away! Can't please everything. I find Seattle Metro is the best one! http://www.newflyer.com/index/news-app/story.254 138 XN40. I wonder if this will be replacing the remaining RTS! Saw an LFS, 3rd gen rear with no rear window was on Hwy 401 westbound passing Hwy 400. Looking forward to see it, and yes a/c is also included! It's also equipment availability, there are times the DD aren't available. I had runs during splits that you don't really need DD at all, it's about easier accessibility. There are some mandatory runs that do need DD as some have heavy runs.